Synopsis: Here we address these troubling yet intriguing questions: Are there more than two genders; What are other genders; Why does nature make more than just male and female; This mini-love-lesson ends with a list of the words and terms now used in the new understandings of gender; more. Yes, according to science there are more than just male and female. Biology, physiology and especially the brain sciences, along with a good many other scientific fields show us this truth which is so troubling to many. Nature makes humans and a host of other animals with other genders than just the standard two – those distinctly male and those distinctly female. It is true, at least among humans, that most are easily identified as pretty much male or pretty much female. However, though in minority, there are others. We have known for a long time that nature occasionally produces people with the genitalia of both males and females. More recently, the brain sciences have discovered nature makes a lot more people with the brain chemistry of both males and females. Not only that, we now know that just about everyone has at least a little bit of both male and female neurochemistry and dual gender brain functioning. We also have more people, than was originally thought, who are neuropsychologically one gender but their overt biology is that of the other gender. Thus, in simple terms we have males in female bodies and females in male bodies. We also may have people whose brain functioning and neurochemistry goes back and forth between being male and female. Some other species do this biologically whenever there are too many females or males and gender rebalancing a population is in order. Then of course we have those who seem pretty much male overtly except that they are naturally built to be attracted to other males and those who are pretty much overtly female who are naturally attracted to other females. And then there are the bisexuals, many of whom can be pretty much equally naturally attracted to both. Those varieties also occur among other species a lot. The preponderance of scientific evidence shows all this variety to be natural and not at all unhealthy. Why Does Nature Make More Than Just Straight Males and Straight Females? One answer is that nature loves variety. Variety has great survival value. You never know when conditions are going to change and a life form variation is going to turn out to better cope with that change in conditions. Seldom does nature make just one or two varieties of anything. Think of leaves. They all do pretty much the same thing yet they come in endless variations of shape. A small minority are not even green but rather several other colors. Other leaves are green part of the time but then change to a variety of other often vivid colors. It seems nature is always making new variations and some of them have advantages in dealing with whatever the changing conditions are at the time. Another answer is that there are unrecognized species survival contribution and advancement advantages brought to us by those having a not strictly male or female psychobiology. For instance, it is thought by some that those people who are more androgynous (mentally and emotionally both male and female balanced) may be better at diplomacy, cooperation skills, democratic leadership, mentoring, mediation, counseling, personality assessment, cognition flexibility and altruistic achievement. Previously and still in certain circles, androgynous people were/are negatively viewed as having what was seen to be the typical weaknesses of both males and females. Consequently, they often were rejected and excluded as not being male enough or female enough depending on their overt gender identity. Thus, the Renaissance Man was seen as a “sissy” and the Renaissance Woman as a “pushy broad”. Both were “freaks”and “misfits” in times and places of high social conformity. Do the People of “Other” Genders Have Different Love Problems? Do you agree with these ideas? Everybody needs love no matter what their difference is from the supposed norm. Everybody who is different from the norm is in danger of rejection and worse from those who fear difference and desire continuance of the perceived and “correct” norm. 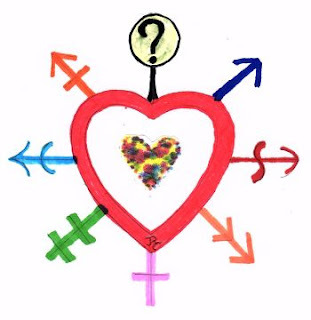 If you see it this way, then you can see how those who have “other” than the usual male and female ways may need extra love, acceptance and inclusion experiences to counter the anti-love events they may experience while they are trying to figure out and adjust to their own differences from the perceived norm. Healthy self-love development is often an extra tough problem for those growing up or starting to live “other”. Valuing, appreciating, accepting and honoring oneself can get really tough when faced with exclusion, rejection, criticism and demeaning messages coming from others. Especially is that true if those anti- love messages are coming from people who are supposed to love you, like parents and family. Romantic love often presents some very perplexing problems. If a she loves a he and transgenders into a he, does that make them homosexual lovers and does that matter? When a bisexual or bi-amore person is loved by both a male and a female can they all three live successfully married together? If they do, does that mean they are illegally practicing polygamy? Could you romantically successfully love a transgendered person who used to be the same gender you are? 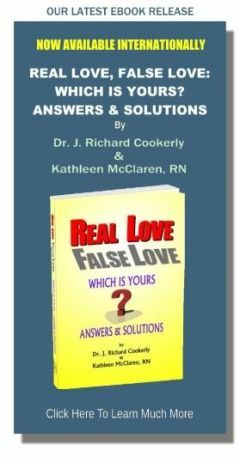 ‘Is it real love or a form of false love’ is a question that is extra confounding for those who live in the various “other” categories. Loving family and friends who may experience culture shock and/or strong religious values dissonance because someone is in an “other” category, also is a common but big love problem. Experiencing being put down, shunned, damned, pitied, preached at or even ‘prayed for’ because you naturally are different is frequently quite tough. Not hating but instead continuing to love the person or persons sending judgmental rejection messages, also is a love challenge and issue for those who are in some way “other”. Sometimes in self-love, withdrawing contact from the judgmental and condemning is at first necessary for sufficient self protection. Family counseling with a good love-oriented therapist is what helps the most, as I see it. Strengthening oneself through therapy and healthy self-love development so that a love based re-approachment of those who condemn usually is the eventual best solution, from my experience. Never making such a re-approachment can mean having a wound that never heals and a disturbing lack of closure. Attempting the re-approachment too soon before your strong enough to be unaffected by the ‘arrows’ that may be fired at you can be disastrous. So, great care is in order. Love of children when there are gender issues presents a whole special set of challenges. How does a parent deal with a child who is exhibiting a tendency towards some form of “other” gender orientation? How does a parent best explain to a child that parent changing genders or not being of the standard male or female identity? How can parental or family love best help children struggling with peer rejection because of some “other” gender factor? A fair number of people seem to be quite threatened, upset, in denial, and angry concerning all these new “other” ideas, discoveries and social changes concerning gender. They want all of us to regress to the old understandings that there are only males and females. The trouble is that science is showing those understandings to be inaccurate, inadequate and quite destructive for a considerable number of people.. Abuses of those who are “other gendered” are abundant. Anxiety, stress, depression, family breakups, suicide and even murder are sometimes the result of the more extreme abuses enacted by the regressives. With love must we not therefore embrace the progressive and constructively use the new knowledge concerning gender? Those who are threatened and angry can, with careful love, decrease their fear and be brought along into a world where difference is so often a good thing. Do You Know the New Language of Gender? Recent research has discovered a lot in this area of gender and that has resulted in quite a few new terms. These terms can help a lot for comprehending more fully, becoming more knowledgeable, thinking more clearly, talking productively, and interacting knowledgeably concerning gender issues. To help you with that, here is a partial list of words and terms you may wish to familiarize yourself with and be sure you understand. Affirmed gender, alternating gender neurochemistry, androgyny, asexual, assigned gender, bi-amore, bi-gender, bisexual, cisgender, cross-dresser, dual identity, gender dysphoria, gender expression, gender fluidity, gender identity, gender continuum, gender spectrum, gender predominance, gender web, homo-amore, hermaphodite, hrm, hir, medical gender transition, pansexual, polyAmore , social gender transition, “they” (singular), trans-amore , transgender, transsexual, transman, transwoman, ze. ♥ Love Success Question: How much of yourself do you suppose is both male and female, and how okay (self loving) are you with that?